love your writing. Love your thinking. the sheep are from leaving atapuerca? they look familiar 🙂 and i’m glad to hear that you found the park (i didn’t, unfortunately). i hope you were able to explore the giant cathedral! 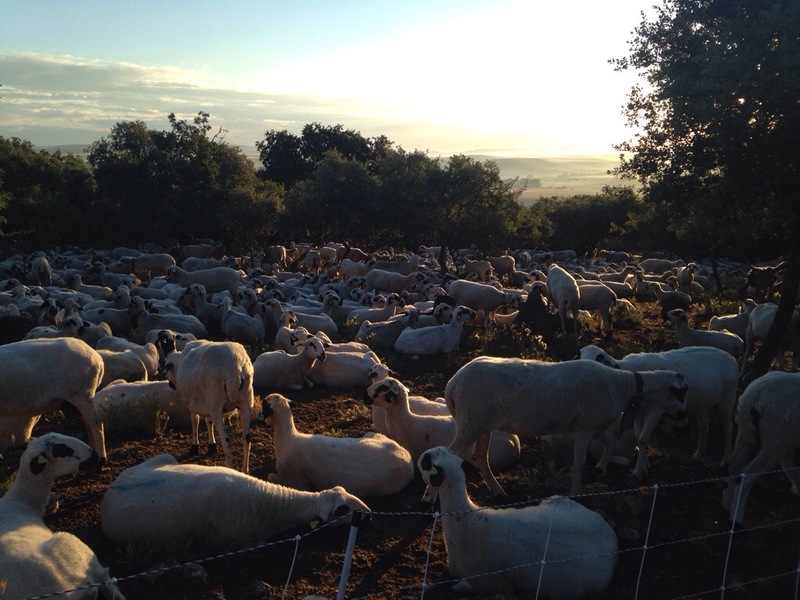 Yes, the sheep ARE after leaving Atapuerca! Good memory!! I’m glad you found a Camino angel to guide you through the more scenic way into Burgos. I did the “walk of Hell” version and it sucked so much that I ended up taking a bus instead for the last 3 km! It’s also a big deal that you’re saying goodbye to your first big Camino friend. You’ll find the Meseta to be much more trying, mentally, than any other portion of the walk. FYI, 2 days from Burgos is the hermitage of St. Nicolas. It’s a donativo run by a confraternity of old Italian men, and you stay in an old Romanesque church that’s 1000 years old. It was one of the top three experiences I had on the Camino in Spain. Look for it about 6 km after Castrojeriz–it’s a squat rectangular stone building sitting in a field. There are only 12 beds though, so they fill up fast! I’m loving your blog. Thankfully I also found the scenic route. Never let it be a race. May I ask what equipment you’re using for photos and blogging? It’s beautiful. 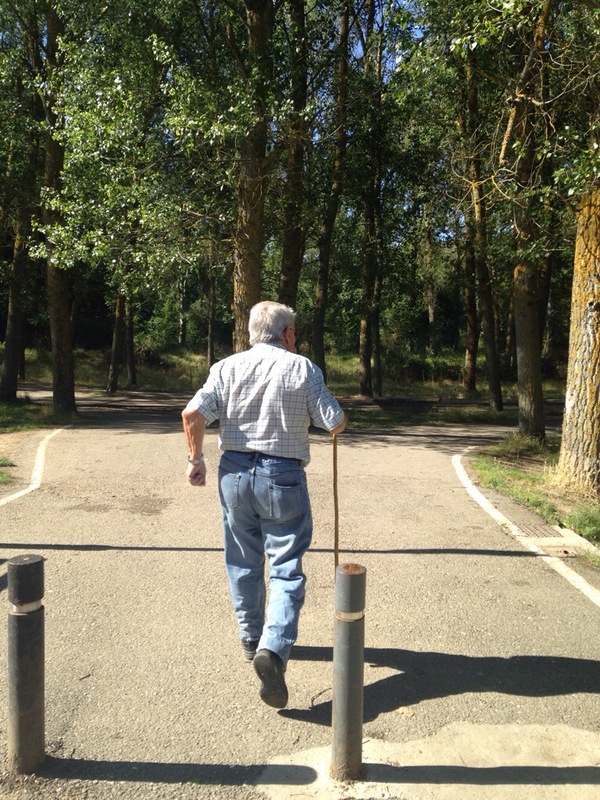 Thank you for all of your great comments… this Camino has been so, so wonderful. I’m just taking photos with my iPhone, and blogging on it as well. I have a little, light keyboard with me that connects to my iPhone with Bluetooth, and that has helped a ton with the writing. Thanks, it is a great combination. I had the iPad mini and regretted leaving my bluetooth keyboard at home. … following your journey, where ever it may be. 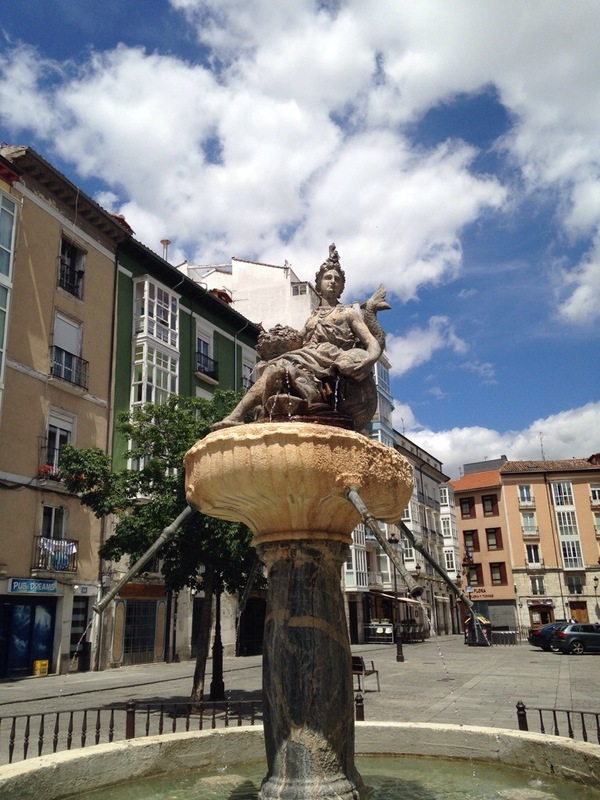 Your post is a great example of how “The Camino provides”. 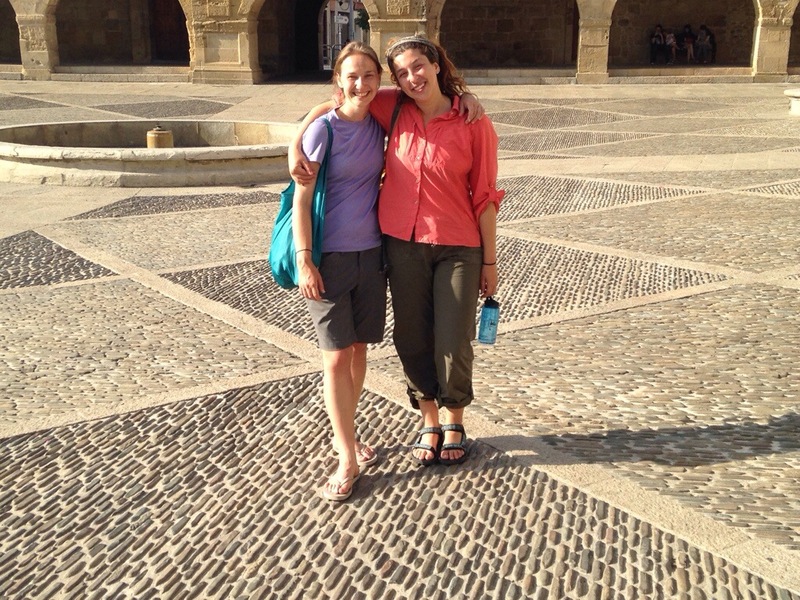 Your Camino experience has provided such wonderful friends and opportunities, and apparently what the Camino took away [the Brierly] may also be a blessing in disguise. As a heads up, my friends finished their walk into Santiago a few days ago, and I’ve been following their journey. We didn’t have a blog from them for several days while they were out on the Meseta due to lack of wi-fi out there, so if we don’t hear from you for awhile, I will assume you don’t have connection. Thank you for this comment! I’d love to blog more (I’d do it every day if I could), but most days I just don’t have enough time. I’m having too much fun socializing and meeting other people and having drinks and/or ice cream. 🙂 But when I do blog and upload photos, I’ve been using my iPhone. I also have a little, light keyboard that connects to the iPhone wirelessly through Bluetooth, and that makes the typing so much easier. But otherwise, just my little iPhone. It’s doing the job! Hi Nadine! I was wondering how you were blogging, too! I was thinking it would be so hard with just your phone, but now it all makes sense. 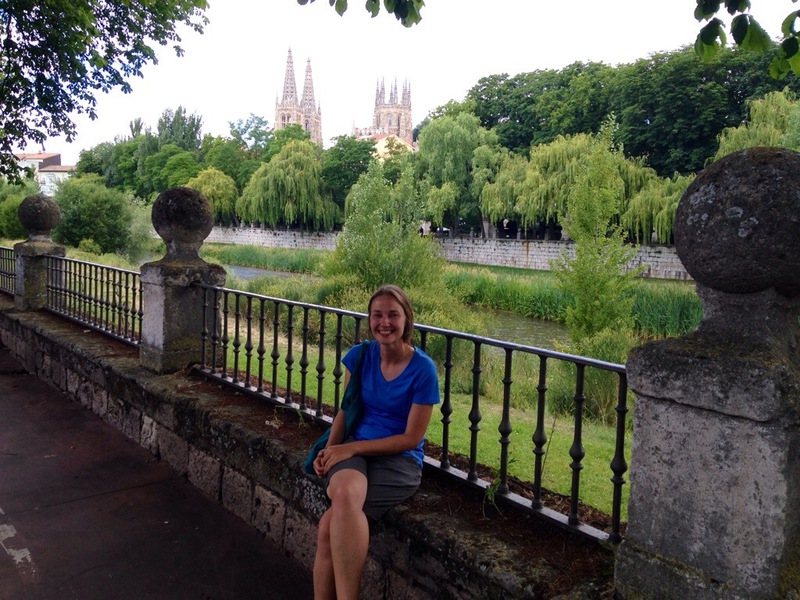 So glad you’re enjoying your Camino–I love reading your posts! Thanks for your answer, Nadine! Wow, that’s really cool you can just do it all with an iPhone and the wireless keypad. Technology never ceases to amaze me.